I thought that would get your attention. What on earth could Woody Allen have to do with these great writers of Christian fiction? Actually, like them, he’s done something I’ve loved. And I can’t wait to tell you about each one. I’m starting with Becky Lyles, and in case you didn’t notice, I’ve gone in alphabetical order by genre. So yes, I know Anne comes before Becky alphabetically, but Becky writes contemporary and Anne doesn’t. I really enjoy books that have a unique premise. Becky Lyles’ novel Winds of Wyoming is definitely unique. Romance, suspense, characters who work their way into readers’ hearts…. I loved this wonderful book about a woman who has just been released from prison. Yes, prison. And as the book opens, she’s actually contemplating stealing from the church offering. Kate Neilson is out of money and on her way to an out of the way guest ranch where she’ll be working for a handsome cowboy. She’s also hiding out from an obsessive evil prison guard who’s stalking her. 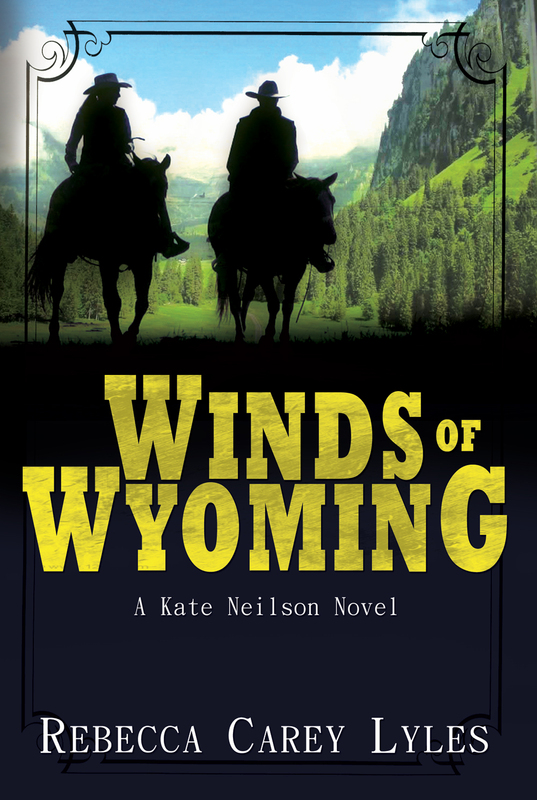 This book is filled with great characterization, word pictures that paint lovely images of Wyoming, danger and romance. Will Kate get her second chance at life and happiness? Becky Lyles has written a novel of God’s grace and forgiveness that readers won’t soon forget. Hopefully there will be many more books by this talented and insightful author. Ohmigoodness! This is a fabulous book. Let’s just get that out of the way right up front. You know I liked it or I wouldn’t be recommending it, but just to set the record straight: I LOVED IT! Not only did I love it, it’s going down as one of my all-time favorite reads. Thank you, Anne, for giving me another one for the keeper shelf. Now, down to business. Why do love this book so much? First and foremost – characterization. Anne Mateer excelled with this and created an imperfect heroine with a heart of gold. I loved this heroine so much, I don’t know if I’ve ever loved one more. Not only is Alyce Benson a perfectly crafted heroine, but so is every other character in this novel. It’s 1916 and adventure is Alyce’s middle name. She’s the only woman in town with a car, and she likes to drive fast. But Alyce’s sense of adventure is second to her giving nature and she soon finds herself driving on the race track to try and win the money she promised to the missionaries for the children in Africa. At the same time, Alyce finds herself torn between the banker and the mechanic all the while keeping her identity a secret from the man funding the car in the race – her father. Go. Buy. Read. You won’t be disappointed with At Every Turn. I love everything Julie Klassen writes. Each book is different, and yet so captivating. 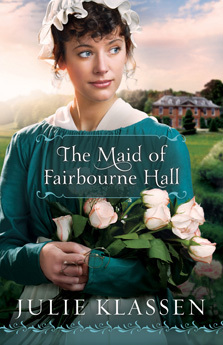 The Maid of Fairbourne Hall is no exception and is the perfect read for fans of Downton Abbey. Margaret Macy is about to be deliberately ruined by her stepfather’s nephew in an attempt to force a marriage so they can get their hands on her inheritance. In order to escape their dastardly plans, she’ll have to disappear in disguise. And when she does, this pampered girl who is used to being served soon discovers just how difficult it is to be the one doing the serving. Especially when it turns out she’s just become a servant for a man who wanted to court her at a time when she wanted to court his brother. Can she keep the brothers from recognizing her? Will she keep those who want to force her into marriage from discovering her whereabouts? More importantly, though, will Margaret learn the valuable lessons she needs to learn in order to discover which man is right for her? This is not a comedy of errors. This is a journey of self-discovery fraught with danger at every turn. The Maid of Fairbourne Hall is a captivating read that is one for the keeper shelf – right next to the rest of Julie Klassen’s books. He seems so out of place here, doesn’t he? What could he have done that I loved so much? Midnight in Paris. If you haven’t seen it yet, I hope you’ll love it too. But this one’s different enough that I can’t say all romance readers will love this movie. I can’t say all writers will love this movie. But I can say this romance reader and writer loved this movie. I’ve watched the movie three times, and the ending four times. I’m going to watch it again tonight because I need a little blanket of comfort right now and I think the ambiance of this movie will be perfect. Owen Wilson plays a writer in love with Paris. He wants to live in Paris. He wants to soak up everything to do with Paris. His fiancée – not so much. In fact, their lifestyles seem to be in total opposition. While she’s dining with her parents and friends – who all happen to look down on him for his writing dreams – he’s walking the streets of Paris wondering why they just don’t mesh. Before he knows it, he’s swept up in the Paris of yesteryear – the Roaring Twenties – Hemingway, Fitzgerald, Gertrude Stein and the music of Cole Porter. He wants to stay. He becomes enamored of a costume designer who seems to be looking for the same things he’s looking for. But every morning he finds himself back in the present. How will it all end? I can’t tell you. No spoilers here. But if you like Paris, if you like romance and the fantasy of time-traveling back to the Twenties, you might just enjoy Midnight in Paris as much as I do. I hats to admit this but I haven't read The Maid of Fairborne Hall yet and it's been out awhile. Meaning I always read Julie Klassen and quickly. I do have At Every Turn and I know it should be wonderful because I've been telling everyone about Wings of a Dream and how much I loved it because of Rebekah. Because of you Suzie, I watched Midnight in Paris. You were spot on. I love it too. I think it was made for writers so I'm a bit prejudiced! A friend of mine is now stuck on Lisa T Bergren because of you. Lots of great recommendations here! 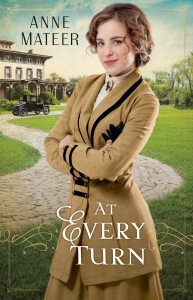 I especially need to get my hands on one of Anne's books. Is this part of a series or stand alone? Anne, I do think Alyce will go down as one of my all time favorite heroines. You captured her heart so well. And the adventure in her heart - she's precious. Dina, it's a stand alone. And you, I feel quite safe saying, will undoubtedly love this book. So will Lisa. 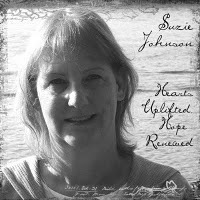 Thank you, Suzie, for your sweet review! Thank you Becky! I'm glad you dropped by. Let us know when the next book comes out! These all sounds FABULOUS! Anne if you stop back by, can you tell me if your book is going to be at the ACFW conference bookstore? Lisa, I'm glad you read this because I know you'll love Anne's book. I hope it will be at ACFW so you can get a signed copy. okay a reminder - more photos! Loved meeting Anne in Denver and so I'll be happy to see her in one of the Inky photos I'm expecting!!! I guested on Overcoming Through Time yesterday, with a chance to talk about Wings of a Dream - loved seeing you review the newest release here today, Suzie. PS hope you are feeling much better today! Yes, photos! And thank you Deb, yes I'm much better this afternoon. Suzie, your reviews are always so well done. You make me want to hop over to Amazon and fill up my cart! Fortunately, I have Anne's book--I'm not done, but I agree with you. It's wonderful. The others sound marvelous. 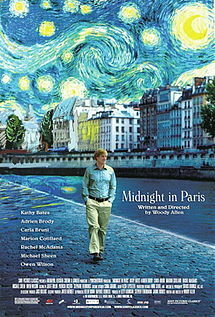 And I really need to watch Midnight in Paris! I haven't read any of them, but I loved Midnight in Paris. And my husband, who is neither romance reader nor writer, enjoyed it, too. Robin, I can't even get my husband to watch it. I see Woody Allen's new movie is set in Rome. I wonder if it will be as good as this one?